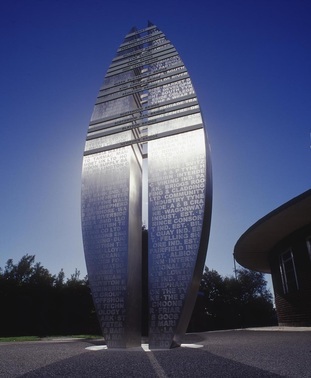 This was one of two sculptures that were commissioned for the Pedestrian Tyne Tunnel entrance at North Shields. It is 4m tall and is made in brushed Stainless Steel. Each side of the river is linked not only by the tunnels and bridges but also by the inter dependence of businesses, the labour market and leisure industries. 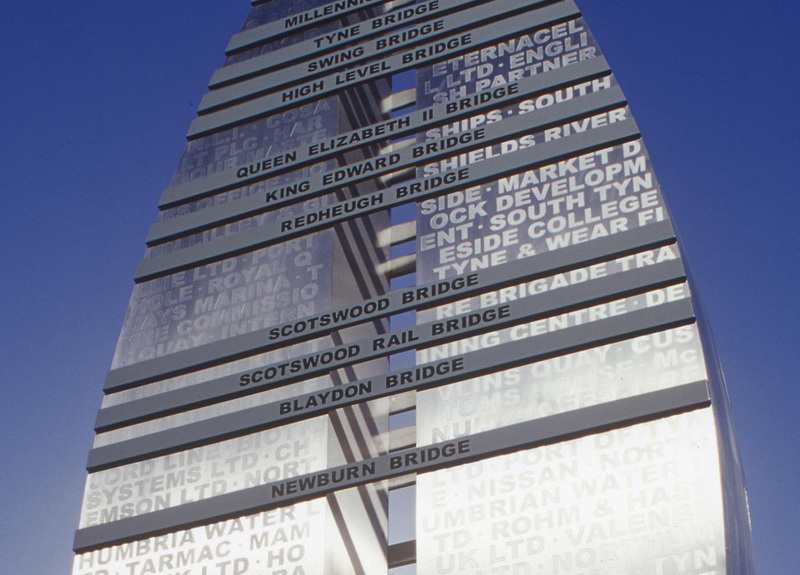 Each side of the sculpture represents one side of the river, with the connecting strips representing the various crossings. 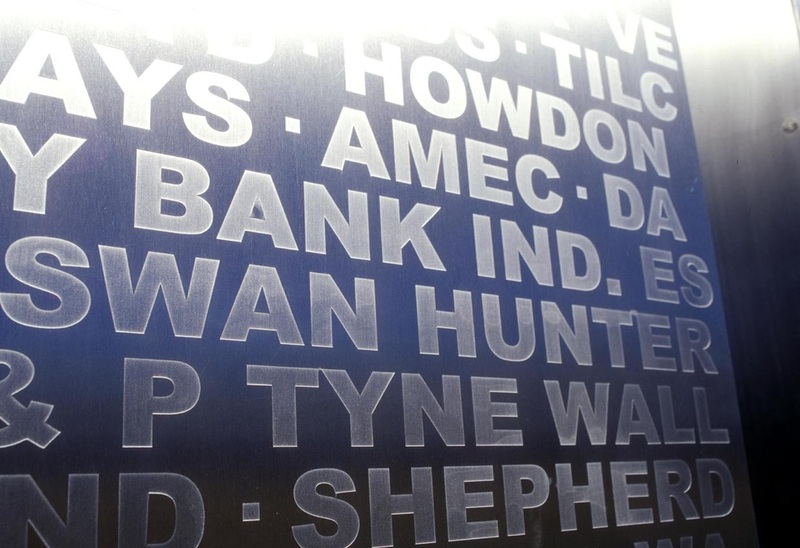 The idea to etch the names of the businesses that operate along the Tyne, onto the surface of the Stainless Steel, came about after a boat trip up the Tyne gave me a completely different view of the river. 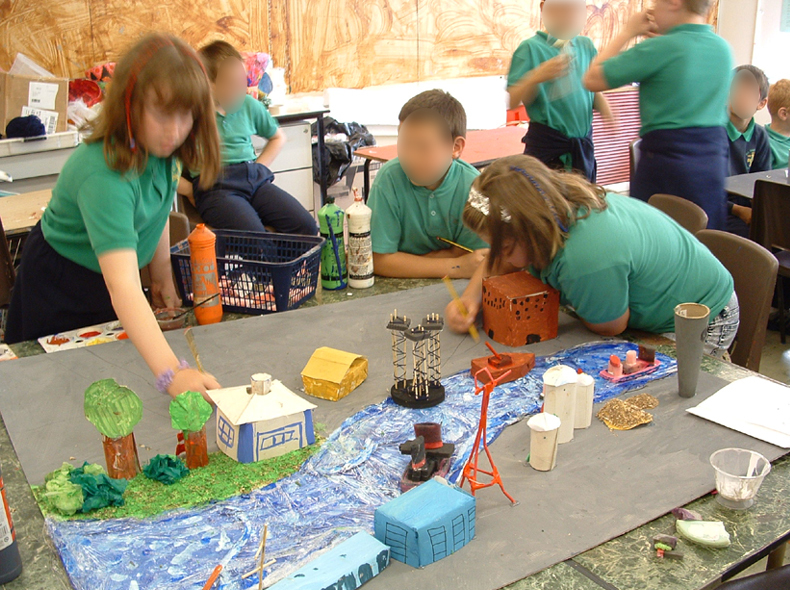 It also provides a snapshot of the river and the businesses as they are now.